It’s a Sunday afternoon in the Swan Valley and I'm at Mandoon Estate, the spectacular home of the winery of that name and Homestead Brewery. The latter have been pouring beers and ciders for the thousands that pass through every week since late 2014, and the aim now is to spread their wings a little further afield across WA. I’ve arranged to meet up with head brewer Justin Bishop to find out how he ended up working on Homestead’s spectacular-looking German brewery. It’s not the worst gig in the world – for him or me – with the sprawling venue on the banks of the Swan River buzzing with locals and tourists alike. 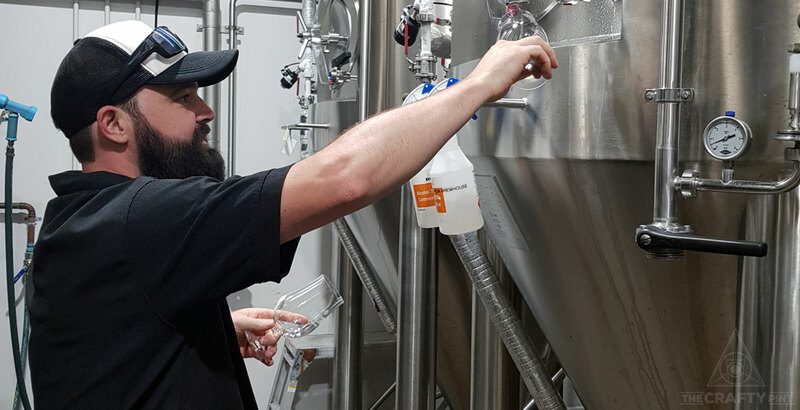 We meet inside at the bar area and head straight to the brewery, where he pulls a couple of fresh samples of their new IPL beer straight from the the bright tank and we head outside. 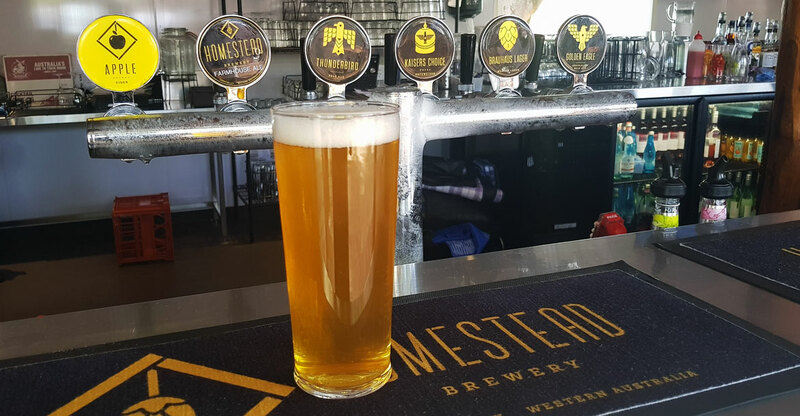 He says the India pale lager is a style he really enjoys and believes will be a big hit with the Perth public – just one of the new beers the team has been working on as they plot the future of Homestead Brewery. With a fresh push to get their brand in front of the wider West Australian public underway, we figured it was a good time to find out more about the man at the helm as part of our ongoing Who Brews…? series. Justin Bishop serving up the freshest IPL in the Valley. I have been in the wine industry for 17 years, working at Fermoy Estate Winery in Margaret River for 14 of these. I worked in many different roles from vineyard to cellar work and then eventually getting into production and warehouse management. 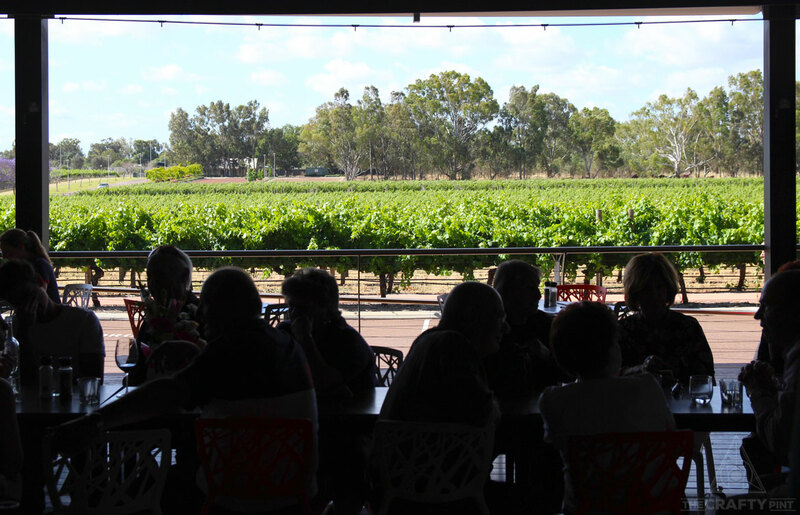 I moved up to the Swan Valley and worked as a cellar hand for Houghton Winery for three years. From there I became assistant brewer under the then head brewer Steve Wearing. He let me do my first beer – that was a Vanilla Porter – and the boss loved it. [As well as that] I have been homebrewing and drinking craft beer for years. I do all my pilot brews at home in a single vessel Grainfather. This is a chance to work on new recipes and is a good representation of the beer you are going to produce. I am very lucky with the kit we have at Homestead with the German Kaspar Shulz 20 hectolitre. It is a beautiful piece of kit. I love the challenge, constructing the recipe. What characteristics do I want to get out of the beer with the yeast and hops? With the availability of so many different yeast strains these days, it allows you to reduce the hop bill and let the esters that the yeast produce really sing. It is cool seeing people out drinking your beer. I am starting to bring my own recipes into the brew house for seasonals and also making some new core range beers to cater for the people who come to the venue. The fact that I worked in the wine industry, but I enjoyed my beer. It had been in the back of my mind for years and I started brewing at home. Working under Steve Wearing was great. He is such a clinical brewer; once I got on top of brewing the core beers consistently I was then able to try some new recipes. What beer in your lineup best represents your brewery and why? Probably Kaiser’s Choice, which is our Hefeweizen. 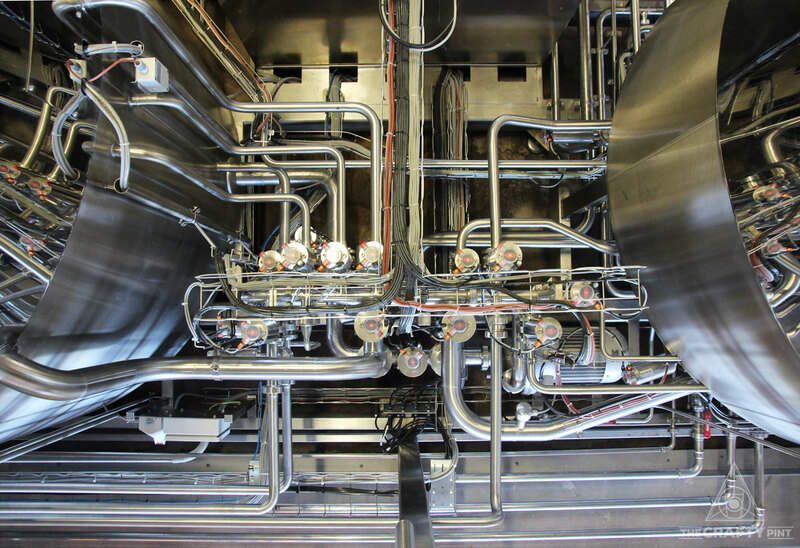 We are renowned for having one of the best Hefeweizens in Western Australia, which may be due to the use of our German system that allows for the triple decoction brew Bavarian brewers of the style favour. It is the beer we sell more than any other offsite. The view from the brewery bar. Whatever is playing in the restaurant. We don't really have music playing out the back. Stoned Fruit Brut IPA that we made with Bright Tank, Beerfarm Pineapple Sour and a few of my pilot beers that I have on at the moment. I have been working on a red IPA and I haven’t quite got the colour right just yet. I’m also working on a session ale, which I have been tweaking at home to get right using all NZ hops and yeast called Citrus from Imperial. I also have a NEIPA on at home in which I used kveik yeast to try it out. So far I have brewed around four beers with this yeast and I really like what it can do. Rocky Ridge’s Melon Collies with the nice, subtle melon flavours and the Beerfarm Pineapple Sour are beers that come to mind. Where can people find your beers? What are your plans for future releases? 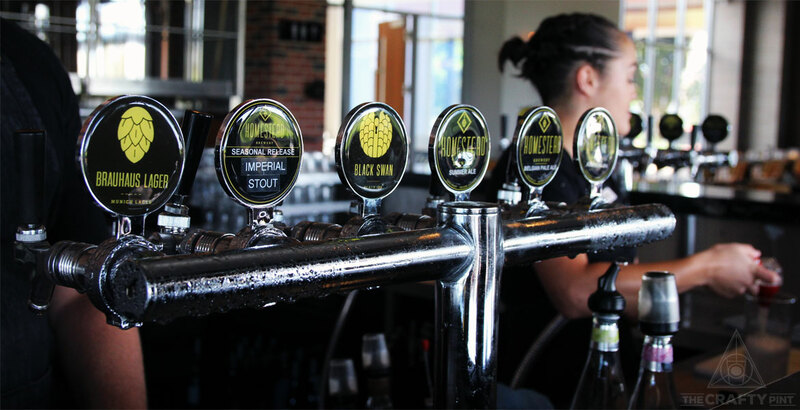 You can find our beers being poured at our Homestead venue as well as another half a dozen or so venues around Perth. The Henley Brook has our Kaiser’s Choice on all year round, The Principal and Springs Tavern also have all our core range on all year round. We have an IPL in the tank that is about to be tapped this week (it's now pouring – read about it here), as well as a Session Ale to be released the following week. We have also just bottled some Barrel-Aged Russian Imperial Stout, and this will be released at the same time as our Bottle-Aged Russian Imperial Stout. Where do you hope the brewery will be ten years from now? That’s a hard one. I want to be competing with the best of them. We want to be putting out beers that are as good as anyone else and try to get growth in our Homestead brand and get people to recognise it. Beers in more bars and having our beers on shelves. Educating people about who we are as a brewery as well as a winery. You can find other entries in the Who Brews...? series here. Mike loves to share good beer with good people and writes about it at Craft Beer House. He completed his first marathon last year and is still buzzing over the West Coast Eagles Grand Final win. I moved to London with my wife in 2008 and I feel like this was a turning point for me as I traveled around Europe and tried many different beers. One experience in particular was staying with friends in Tilburg (Netherlands); they took me to a Trappist brewery. Somehow, we managed to ride our bikes home after trying some very strong, flavoursome beers. 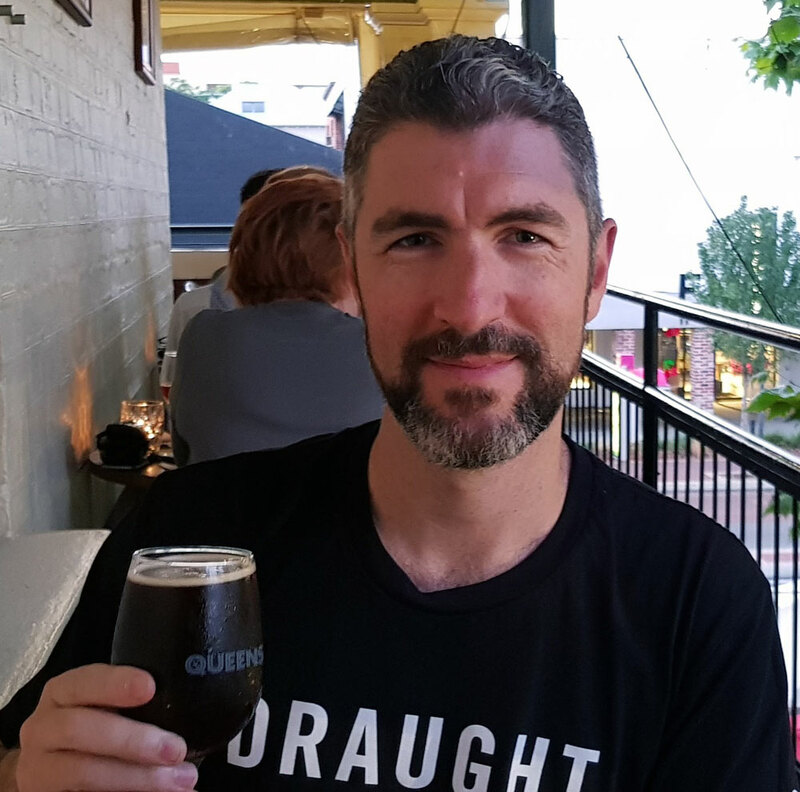 On returning to Australia, I started to seek out local craft beer and started my Craft Beer House online blog. Hawkers' Rover Henty St Ale – It is just a great session ale with nice, hoppy flavours. A good introduction to a craft pale ale. Nail Brewing VPA – This is an award-winning pale ale brewed in my hometown of Perth. I have converted a few friends to good beer by recommending this one. Tropical flavours with a moreish bitterness. Beer Farm IPL – I recall drinking this beer for the first time thinking, 'This is a great beer for a lager drinker wanting more.' It's a hopped up lLager with fruity flavours and a clean, light malt bill. South Fremantle Brewing Co’s first can release, the Saltbush & Pepperberry Pilsner. A very interesting beer.